ever-increasing pressuresfrom globalization and the economic roller coaster to the hyper-speed of evolving information technologies and the ratcheting up of competitive forces. This whirlwind of change puts increasing importance on the abilities of a leader to be self-aware and composed, focused and high energy, empathic and motivating, collaborative and compelling: in short, resonant. 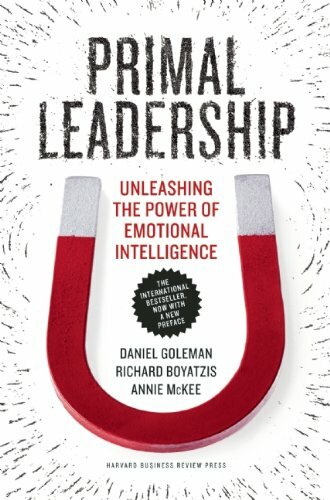 A host of studies worldwide continue to underscore whyand howemotionally intelligent leadership gets results, especially in today's complex world.From bestselling author Daniel Goleman and coauthors Richard Boyatzis and Annie McKee, this groundbreaking and still timely book reminds us of the true requirements of successful leadership. Intelligence," "Ecological Intelligence" and "Focus: The Hidden Driver of Excellence." He received a Career Achievement award for journalism from the American Psychological Association and was elected a Fellow of the American Association for the Advancement of Science to recognize his efforts to communicate the behavioral sciences to the public.